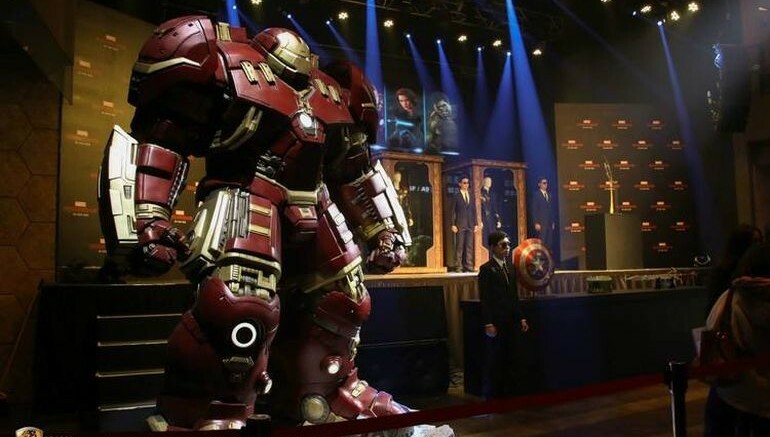 Yes, there is a 10 ft tall Hulkbuster statue – and, it will burn a $21K hole through your pocket! Statue? Yes, we can surely call it a statue. 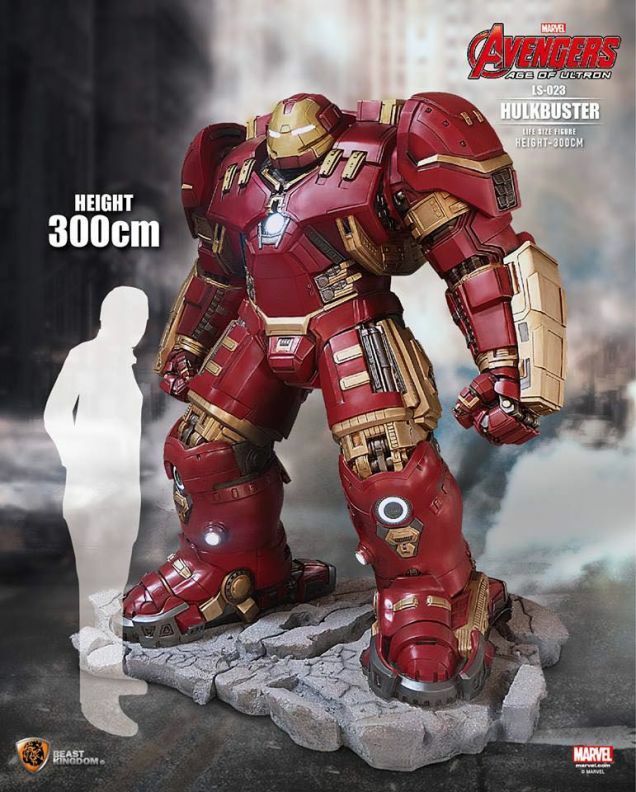 But it ain’t just any statue – the contrivance in question here is the one-and-only Hulkbuster, the boisterous ‘poster-boy’ from the upcoming Avengers: Age of Ultron movie. 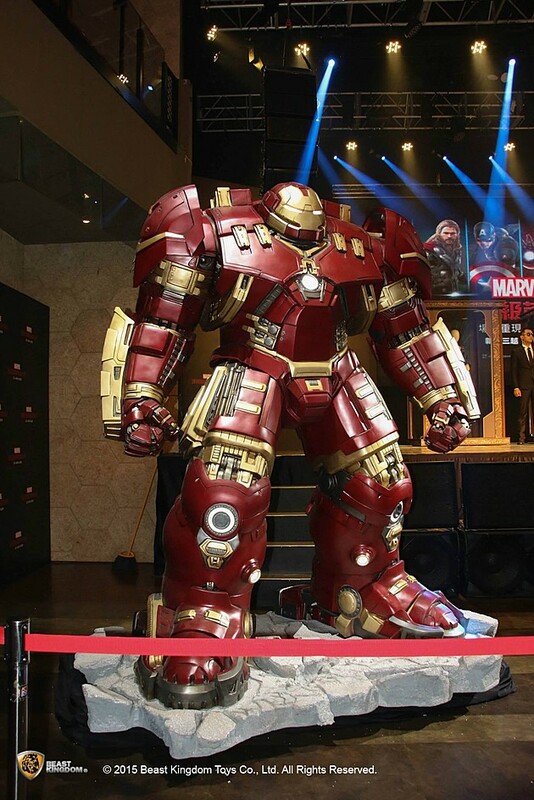 Created by Beast Kingdom, the life-size giant armor was unveiled in Taiwan at a special event to mark the film franchise. 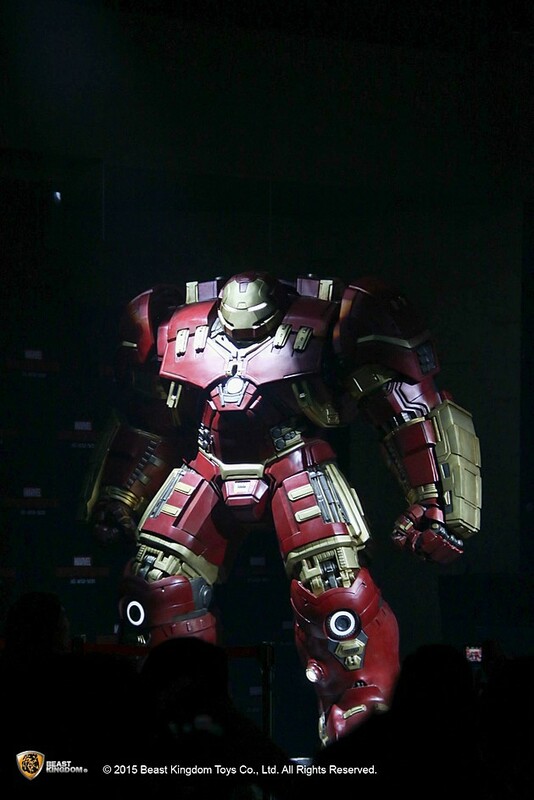 And the showcasing was not just about the Hulkbuster; the event also exhibited other bits and parts from the burgeoning Marvel Universe, including life-size replicas of Iron Man, War Machine, Captain America’s shield and even Loki’s staff. However, the ‘piece de resistance’ of the show would obviously entail this gargantuan piece of armor that can potentially bust Hulk. To that end, the whooping 300 cm tall (or 9.8 ft) tall model comes with a $21,500 price tag. And, in case you are wondering, the massive replica also flaunts its array of lights – that might just shoo away the pain after depositing $21K on this monstrous contraption. 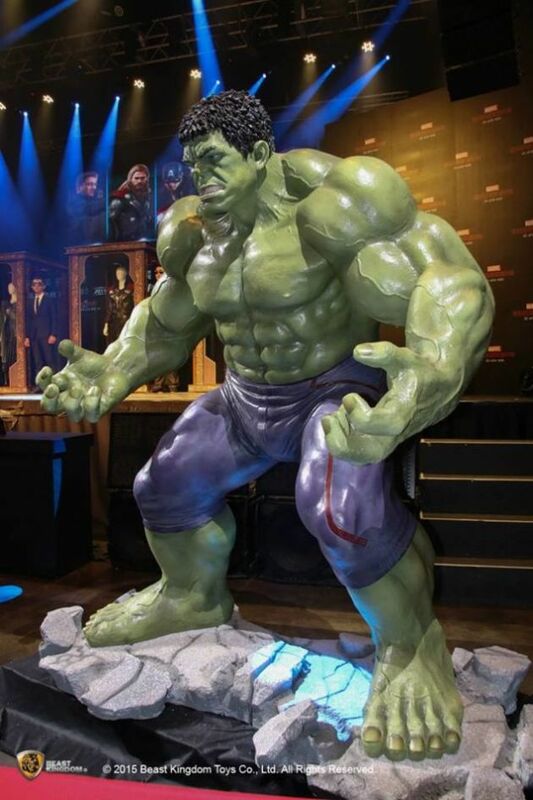 Oh, and lest we forget, there is also the life-size version of Hulk (pictured below), if you are…you know, willing to ‘mix and match’.